Friends, when I find something I love very much I have to share it with you. This discovery may only benefit the locals, but it's worth sharing regardless. At the Kennewick Ranch & Home, where we have our Christmas tree lot, there is a kiosk that sells flavored popcorn, homemade fudge, and other delicious treats made by Killian Korn [another local favorite!] 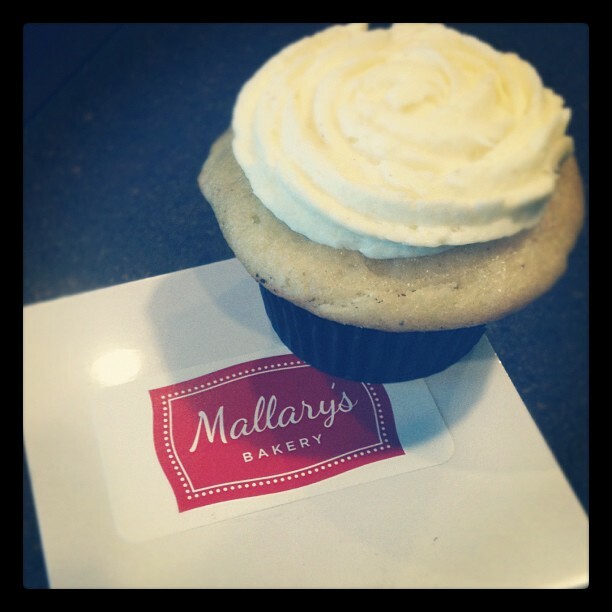 and right now, you can also purchase the most scrumptious cupcakes from Mallary. These are the best cupcakes I've ever eaten. Ever. I dream about her cream cheese frosting. Last week, Brandon brought me one of Mallary's egg nog cupcakes with egg nog buttercream frosting. So yummy. And then he brought me three more flavors on Friday night: triple chocolate [which I didn't get to taste because one of the children got to it first, but they said it was so good], chocolate peppermint, and chocolate with brown sugar cream cheese frosting. Again, that cream cheese frosting stole the show! Then, last night, we were all watching White Christmas when Brandon came home with a Pumpkin Spice Cupcake with Clove Cream Cheese Frosting. That was the most delicious combination yet. I'm bound and determined to try every one of her flavors, despite the effects on my waistline. I love supporting someone local who is obviously talented and passioniate about what she does. I've yet to meet Mallary, but I hope to catch her at the kiosk some time this week and tell her thanks for making such delicious cupcakes! Please go get some cupcakes from Mallary. And "like" her on Facebook. P.S. Did you see that countdown on the sidebar? Only 5 days left until the Mindy Gledhill concert. Get your tickets TODAY!